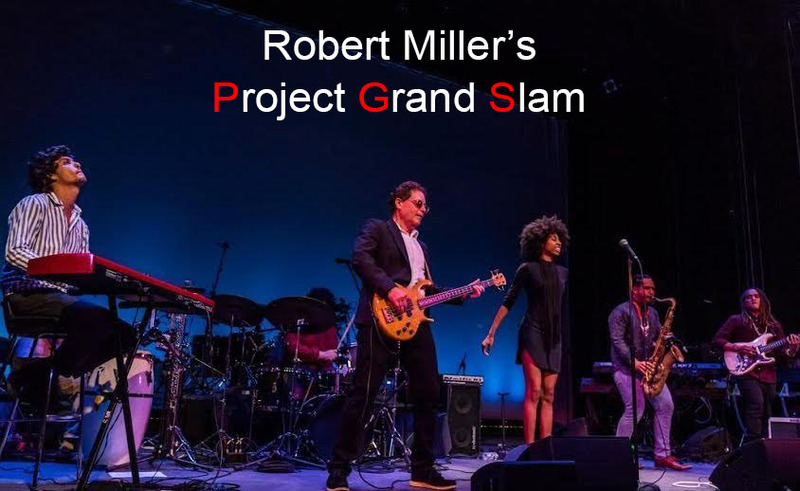 The brainchild of acclaimed bassist/composer Robert Miller, Project Grand Slam is a jazz-rock fusion band that has earned over 1 million video views, while defying genres, languages and geographic boundaries. PGS has cultivated a fervent, worldwide fan base fueled in large part by the Latin/Caribbean-infused title track from the band’s fourth studio album, ‘The Queen’s Carnival’ (CEN/SONY). 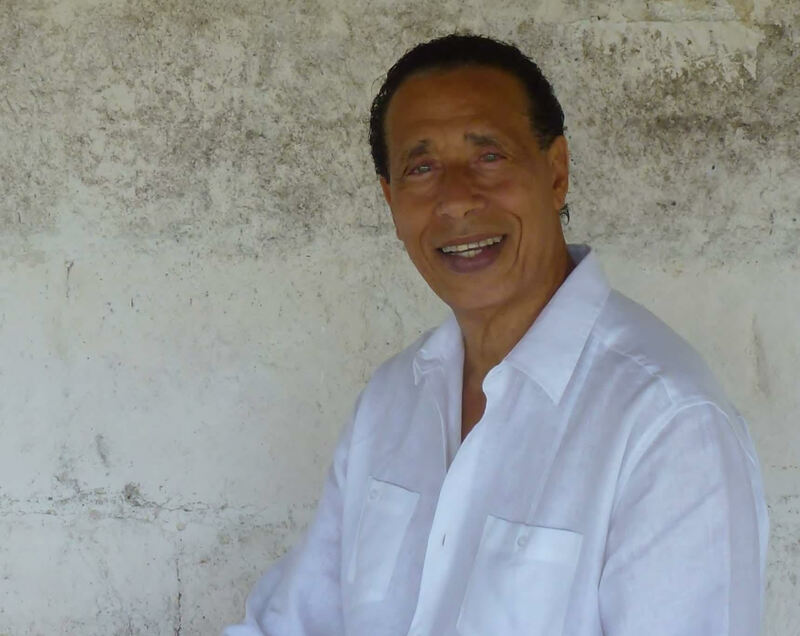 “No Depression” praised the album as “a uniquely affecting work…impossibly memorable!” With influences as diverse as Jimi Hendrix, The Kinks, Afro-Cuban rhythms and Celtic folk, Robert has delivered a sound like no other. In fact, one of Robert’s musical signatures is to take classic rock songs such as Jimi Hendrix’s ‘Fire’ and The Kinks’ ‘You Really Got Me’, and to completely reimagine them. 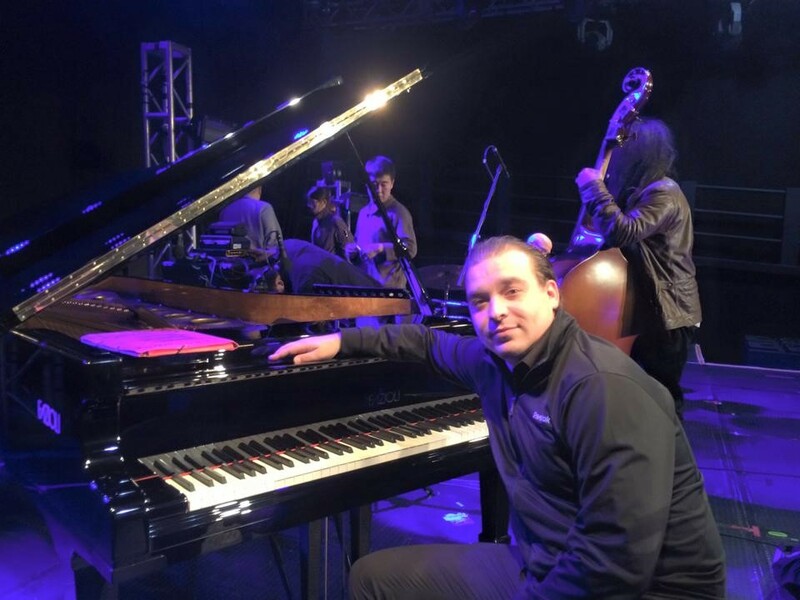 The band has shared the stage with Mindi Abair, Boney James (twice), YES and Scott Weiland (formerly of Stone Temple Pilots), and performed at major venues including the Bergen Performing Arts Center, Ridgefield Playhouse, F.M. Kirby Performing Arts Center, Gramercy Theater, and Garcia’s at The Capitol Theater, while also performing at a number of major clubs including The Blue Note, The Cutting Room, and Iridium. Robert originally formed the band in 2007. 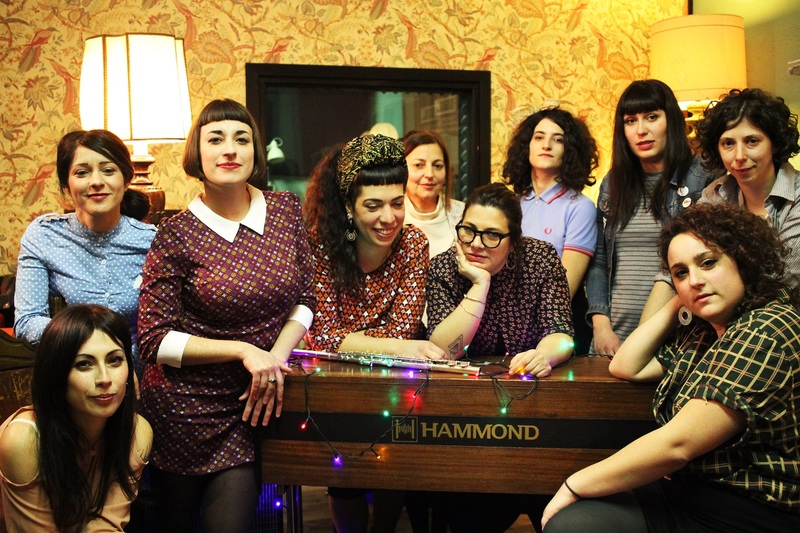 PGS’s first two CDs, “Play” (2008) and “Spring Dance” (2012), had three top radio singles – “The Captain Of Her Heart” (feat. Judie Tzuke on vocals) from Play, and “Catch You Later” and the title song from Spring Dance. In 2009 the band and Robert also had a featured role in an episode of the hit NBC-TV series “Lipstick Jungle” starring Brooke Shields and Kim Raver, with five of the band’s tunes featured in the soundtrack and Robert having a speaking part. Robert was a staple of the Boston music scene in the 1970ʼs, when jazz fusion came into vogue. His fusion band (which included Anton Fig of Letterman fame) played alongside Gary Burton, Sonny Stitt, and Jaki Byard, among others, and played steadily at all the Boston area clubs. Fast forward to the 1990ʼs when Robert formed The Robert Miller Group. Their first album, “Childʼs Play” (1994), contained Robertʼs first original compositions and featured such luminaries as Al Foster (Miles Davis), Randy Brecker (Brecker Brothers), Tony “Thunder” Smith (Lou Reed), Anton Fig and Jon Lucien. Tony Gregory born 21st of June 1946 in Kingston Jamaica. - 1954 - Admitted into Alpha Boys School.1956 - Scholarship to Cathedral Choir School under Father Healey.1957- Won first prize on the "Vere Johns Opportunity Hour"1958 - Turned professional, after two years of entertaining and winning many talent shows, and working with Big Band Bertie King.1960 - Joined Byron Lee and the Dragonaires as lead vocalist.1961 - Released first single with the band (Baby) a song he penned himself. 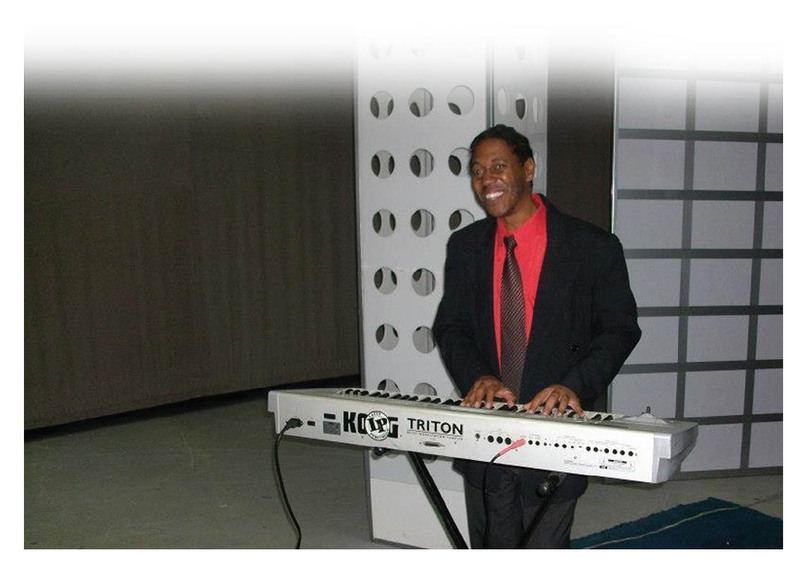 Many stage shows with overseas artists; the likes of the Drifters, Chuck Jackson, Dionne Warwick, Ray Charles, Sammy Davis Jr., Sam Cooke, Ben E King; just to name a few. Toured with the band around the Caribbean Islands. Produced and wrote second single, "My Darling", which was a big hit. Left the band at the end of 1963 to go solo.1964 - Started to record for Studio One, big hit with " Baby Come on Home", "You’re Mine" a duet with Marcia Griffiths. Toured the Caribbean and South America solo.1965 - 1966- Toured Central America and the Bahamas. Big hit "Only a Fool Breaks His Own Heart".1966 - Leaves Jamaica for USA and Canada doing cabaret shows and clubs.1968 - Toured the UK for the first time for one year. Released first L.P> - "Tony Gregory Sings".1971 - Records two singles in the UK, "Bouncing All Over the World" and "Who Turned the World Around’, for the Trojan and Island record labels.1972 - Moved to Germany1973 - First Million seller single "He". Toured all over Europe. Second L.P. "One More Time". Toured Europe and the rest of the World.1975- Made third L.P., "Let Me Be Me. "1982 - Made fourth L.P. "Now" with hits "Gypsy Girl" and "It’s Alright with Me".1986 - Made fifth L.P., "Comin’ on Strong" with hits "For Love of You", "Let’s Come Together" and ""I Need it Now".1990- Made sixth L.P., "In Paradise", with hits "Angela" and "In Paradise".1996 - made an album with Boris Gardiner, "Stepping Out" with hits "What’s Your name" and "Stepping Out. "Tony then moved back to Jamaica in 2000 and took a break from the music industry up ontil 2006.He then started to perform again, but still not doing as many shows as he did before.Tony started to write again, and it did not take him that long before he started to record again.Tony received the order of distinction (OD) from the Government of Jamaica for his contribution to the development of Jamaican music for over 50yrs in 2012.He then started a recording and publishing company (TarGre Music)which now concentrates on controlling music copyrights, not only songs that he composed himself but also from other composers, Music Productions and Video Productions .2014-Saw Tony doing two big shows.One in Jamaica (Jazz & Blues Festival and the other in NY at Groovin in the Park with Marcia Griffiths and Friends.Tony also released a new album called ' Seasons ' with VPal music doing the distribution for TarGre Music worldwide, and a video with the track Seasons.In January 2016,Tony performed on the Rebel Salute Festival.Since thenTony has been working on another album to be released early 2017. 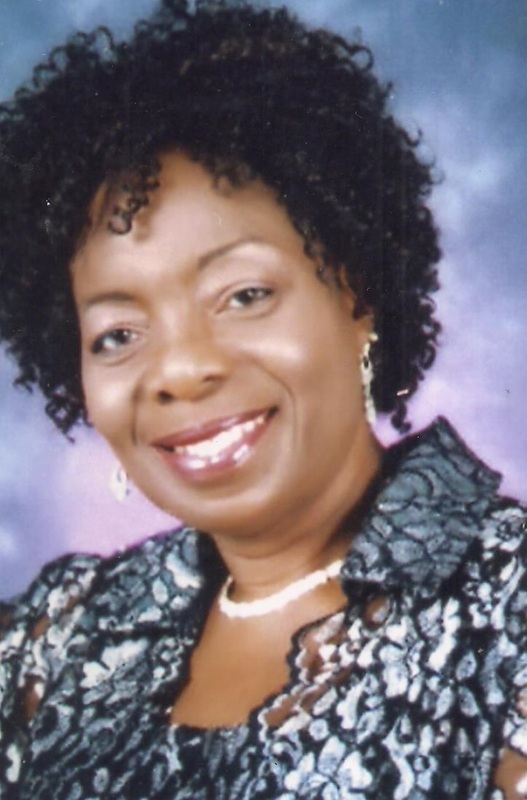 June Thompson-Lawson received her vocal training under the tutelage of English baritone, Robert Williams, at the former Jamaica School of Music, now Edna Manley College of the Visual and Performing Arts. She earned a Licentiate from the Associate Board of the Royal School of Music, and was later admitted as Fellow of the Trinity College, London. 15 Inductees for Jazz Hall of Fame, The Weekend Observer - June 15, 2001. Kingsley Ettienne Thrills Grog Shoppe, The Daily Observer (Norman Monroe) - June 14, 2001. 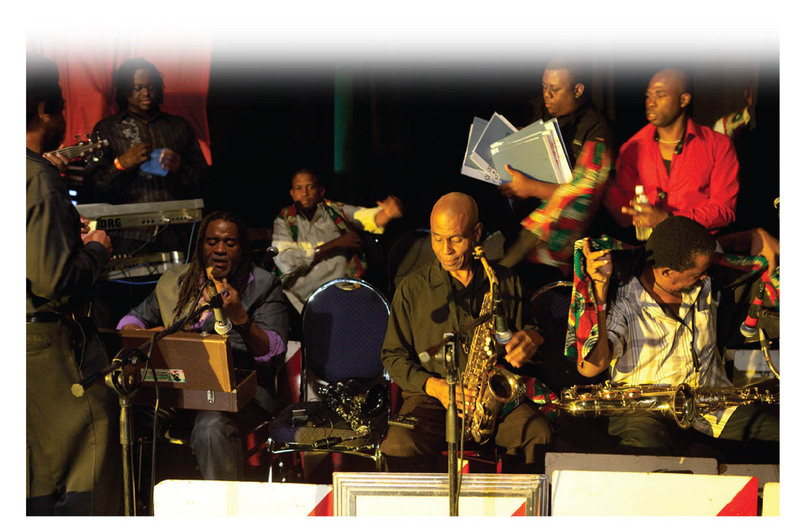 Sonny Bradshaw and the Ocho Rios Jazz Festival 2001, Air Jamaica Flight Magazine (Patricia Meschino) - May-June 2001.